It's been a breakneck week of crucial releases and must-see tour announcements, as we gathered steam towards the new year. 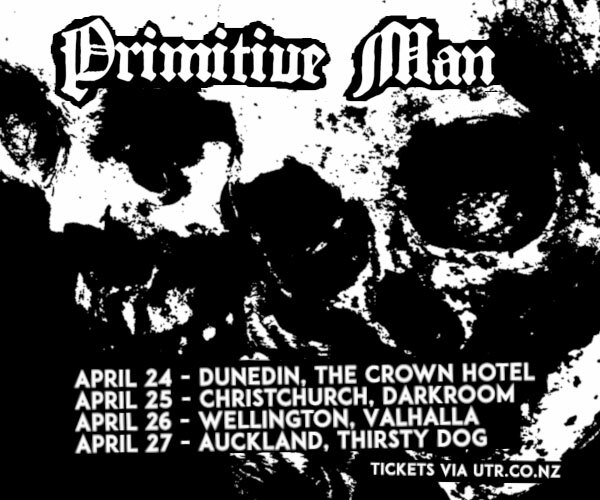 Highlights included a clutch of significant heavy music artists are heading to our shores next year - US metal innovators Deafheaven are hitting Aotearoa this February for two hugely anticipated headline shows, Denver metal misanthropes Primitive Man will be terrorising local listeners in April, UK 'Djent' metal juggernauts Monuments are bringing their refined riffage to New Zealand in January, and Berlin prog-metal crew The Ocean Collective are touring here this summer in celebration of their brand new album Phanerozoic I: Palaeozoic. A trio of acclaimed international songwriters are visiting Aotearoa in the near future, US rising star Snail Mail aka Lindsey Jordan is playing her debut New Zealand shows in March, Memphis songwriter Julien Baker is heading back our way this February for headline events in Auckland and Wellington, and Australian alt-country artist Julia Jacklin is returning to Aotearoa for special four date nationwide tour this March. More exciting show announcements included Wellington-based dream-folk artists French For Rabbits are embarking on a three date single release tour with multi-media artist Lady Lazer Light this December, Tāmaki Makaurau's annual celebration of folk music in all its stripes the Auckland Folk Festival shared 2019's lineup for January's multi-day affair, and US desert noir post-rockers Calexico are returning to New Zealand this January for a headline show at Auckland's Powerstation. We had the privilege of chatting with arguably Lyttelton's most influential songwriting talent, Delaney Davidson about the inner workings of his enigmatic creative process, with a special spotlight on his multi-faceted collaborative works ahead of his Shining Day album release tour, starting tonight at Auckland's The Wine Cellar. 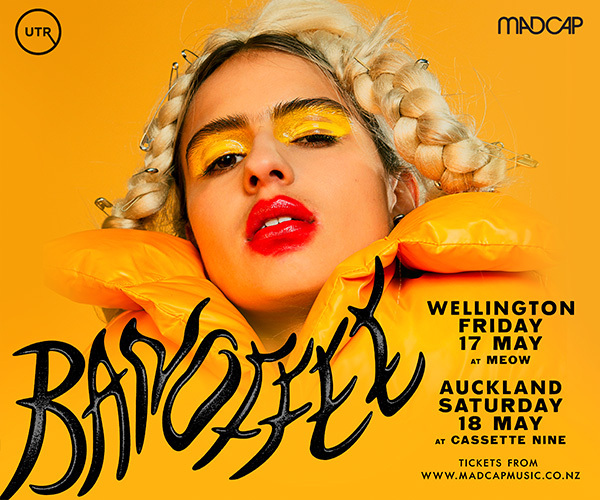 We also shared an in-depth and illuminating conversation between Hope Robertson of Dunedin noise rock trio Bad Sav and music writer extraordinaire Stevie Kaye about the band's loooong-awaited self-titled debut album. We featured a special selection of handpicked favourites from visiting UK new wave / punk pioneer Wreckless Eric who has been touring New Zealand this week, and had the honour of premiering the mind-blowing new single and video from Wellington heavy psych-rock duo Earth Tongue. It's been a killer week for local releases - highlights included the hugely anticipated self-titled debut collection from nine piece family rap ensemble Fanau Spa, Auckland garage punks Cindy dropped a load of frantic yet hook-laden numbers on their self-titled debut EP, Dunedin's Astro Children shared a stylised video for their new song 'Milk', super city "goth glam grunge psych" crew Shoddy unveiled their alchemical debut collection With Nails And Glue, rising psych-rock five piece Ounce unleashed the lead single to their debut album OZ Vol. I, award-winning songwriter Mel Parsons shared the latest single from her upcoming fourth studio album Glass Heart and punk innovator P.H.F. dropped a buzzily ethereal new track. To top it all off, nineties Flying Nun-sters Superette remerged with a catchy previously unreleased song, to whip up excitement around this month's re-release of their landmark 1996 debut album Tiger in a spacial expanded edition on double vinyl and era-appropriate compact disc!